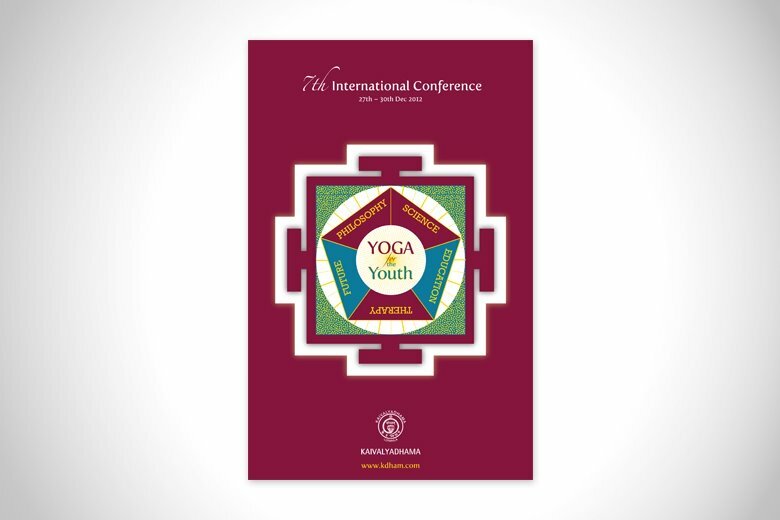 Every once in four years, the Kaivalyadhama Yoga institute in Lonavala (India), hosts an international conference on Yoga. 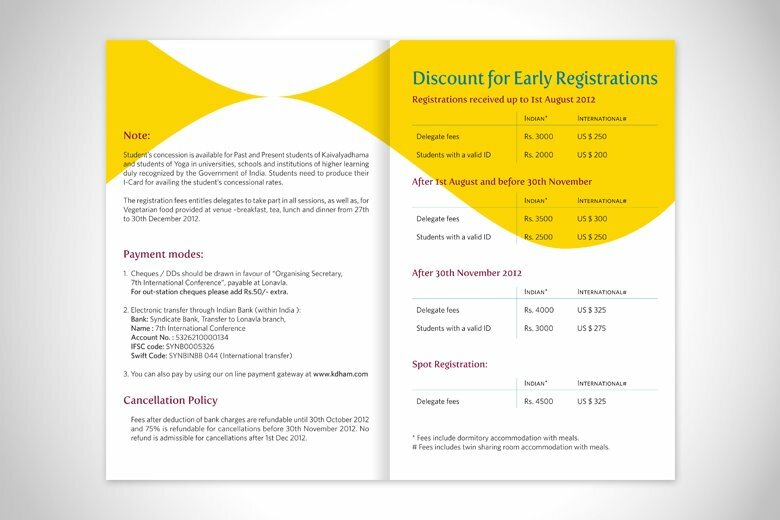 On the occasion of their 7th International conference in 2012, they decided to target the conference to the youth. 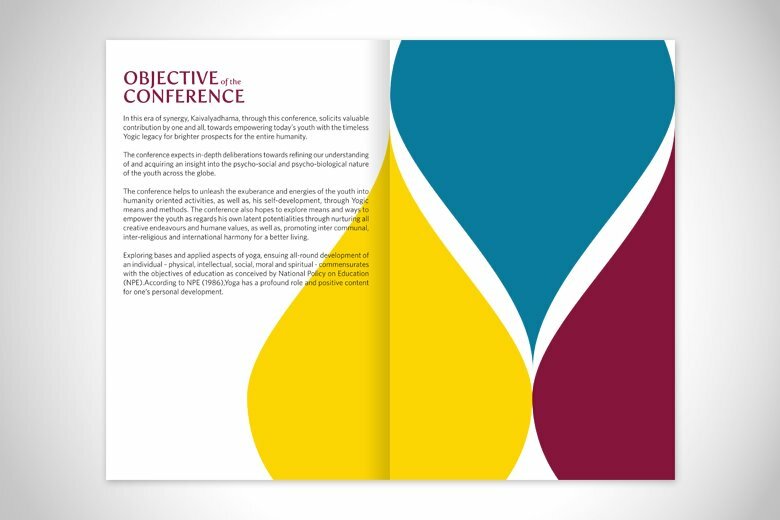 We helped them present this concept by using a very contemporary vibe to their overall collateral for the conference. We will be handling all the promotional activity leading up to the Conference. 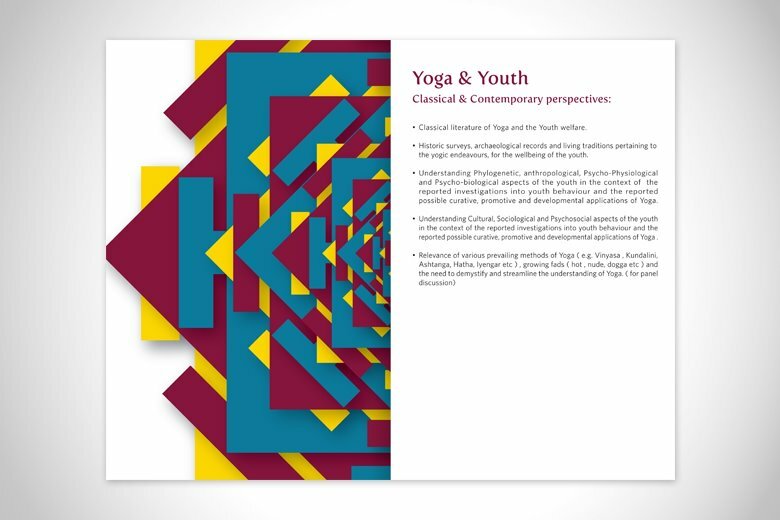 We will also be working on the graphics inside the institute premises for the days during the conference.